Super smart and style-savvy water keepers! 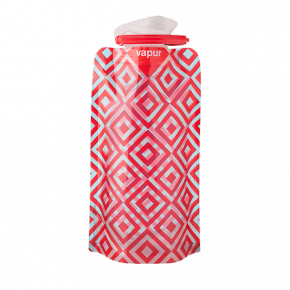 Vapur believes the bottle you drink from should be as flexible as you are. This clever vessel can be folded when empty for easy storage, and comes in every shade of the rainbow. It can also be frozen and used as an ice pack! This is the must-have water bottle for running around town. Both fashionable and functional, its portability and its sleek contemporary design make it suitable for whipping out at the office or any chic urban setting. Glass is a clean, safe way to drink – no metallic taste, no chemical leaching. At once delicate and sturdy, this celebrity favourite is protected by a colourful silicone sleeve, which makes it soft and grippy – we didn’t want to put it down! You can’t go wrong with this sleek stainless steel water bottle designed in the Netherlands. 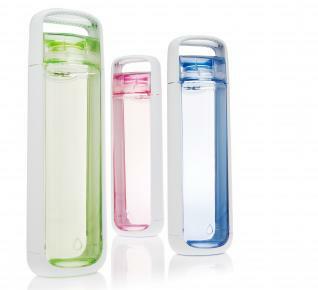 It’s compact and leak-proof, BPA free, and double walled for better insualtion. Just add water! 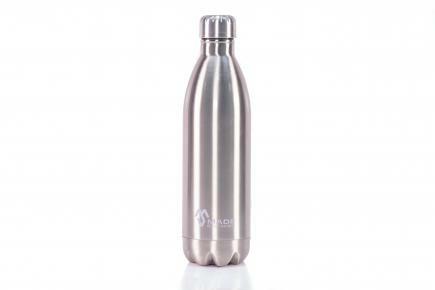 The iconic Swiss-made lightweight aluminum bottle comes in a plethora of designs to hydrate you in style. The baked-on, crack resistant bottle liner is also leach-proof, eliminating concern about drinking unwanted chemicals.